In The Inkspot Monologues, a leading dysfunctional relationship therapist, uses the Rorschach blot to help Jack and Alice exorcise their unsuccessful romantic relationships. Their stories are told through words and pictures. 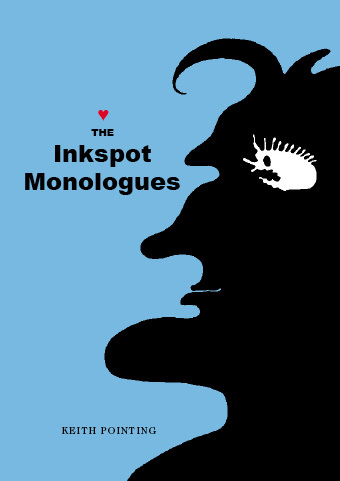 The Inkspot Monologues was published in March 2009 by Word of Mouth, an imprint of Can of Worms. clicking here (or on the PDF icon). © 2008 - 2019 Keith Pointing, All rights reserved.